Delhi, a leading fashion city hosted Vaunt International Fashion Week Season 1, presented by Usha Shriram, launch party at The Privee, The Shangri La for Cocktails and Canapés on Thursday, 22 February 2018. Gunjan Batra, Vipul Chaudhary, Anand Tikekar and Jatin Sharma- founder of Usha Shriram presents Vaunt International Fashioner Week Summer Solstice 18, a point of contact for national and international designers getting into the higher notch of fashion. Usha Shriram hosted a launch party where all the who’s who of the city was presented. It was a meet & greet for the fashion industry coming together where the details of the Fashion Week was revealed. 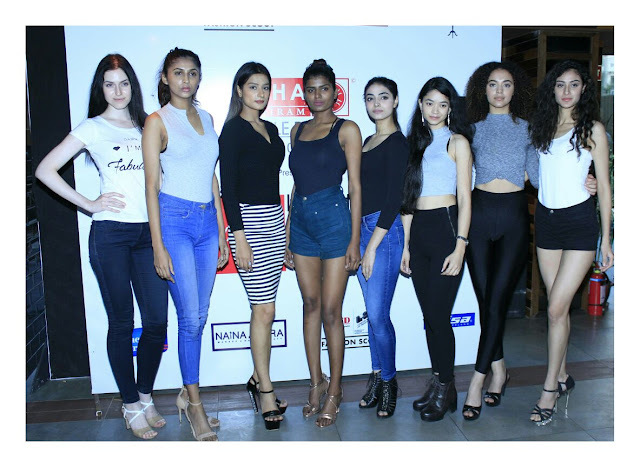 The event also witnessed talent powerhouse as model hunt auditions were conducted for its Season 1. There was number of applications who participated in the audition. It was a dream come true audition for all the aspiring young models looking forward to making it big. The jury on the panel comprised of designer Rinku Sobti, artist GR Iranna, choreographer Rachna Sikka, CEO (Barefoot College) Meagan Fallon, director (BB Models) Nitin Sarna. Fashion in India has thousands of years of tradition behind it and mixing it with International creativity will bring revolution in the fashion industry is what Vaunt International Fashion Weekbelieves in. The Vaunt International Fashion Week (VIFW) is an initiative by International Fashion Promotion Company IFPC) and is supported by a group of renowned fashion marketing individuals, foremost designers, fashion industrialists and domestic/International buyers. The Vaunt International Fashion Week is the most happening Fashion Parade, which is going to be all about sophisticated couture, glamour and a cool after party for everyone involved in making this happen. The team has the topmost Fashion Marketing consultants who contribute to the finest shows across the world. VIFW is developed to provide a dynamic platform to Youngest Fashion Designers and Professionals across the globe. It is a unique platform that promotes brand awareness and equity through the upcoming talent and provides an edge to the Genext, Emerging and established designers.